The Majišče (pronounced ma-yi-shche) is the most recently settled area, furthest from the old road, and at a much higher elevation than any other part of Zilje. We cannot know whether the name is derived from the area’s first family, the Majičšari, or whether the area is named for them. The Majiščari arrived ca. 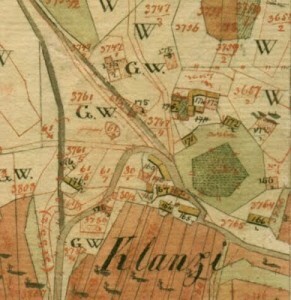 1812. 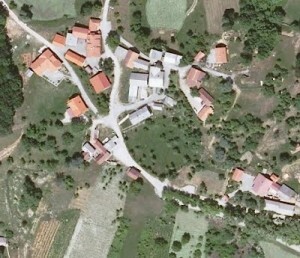 It is most likely they moved from one of the established Čemas households along the old road, the Čemasi or Peričini. The next family to arrive were the Mali Majiščari, and again, it is unclear as to which of the two Čemas households they came from. All the other families of the Majišče arrived later, after 1840, and their histories are much more clear. This map from 1822 shows only one definite household, which we could attribute to the Majiščari. However the location of this home does not concur with the current location of the Majiščari house.